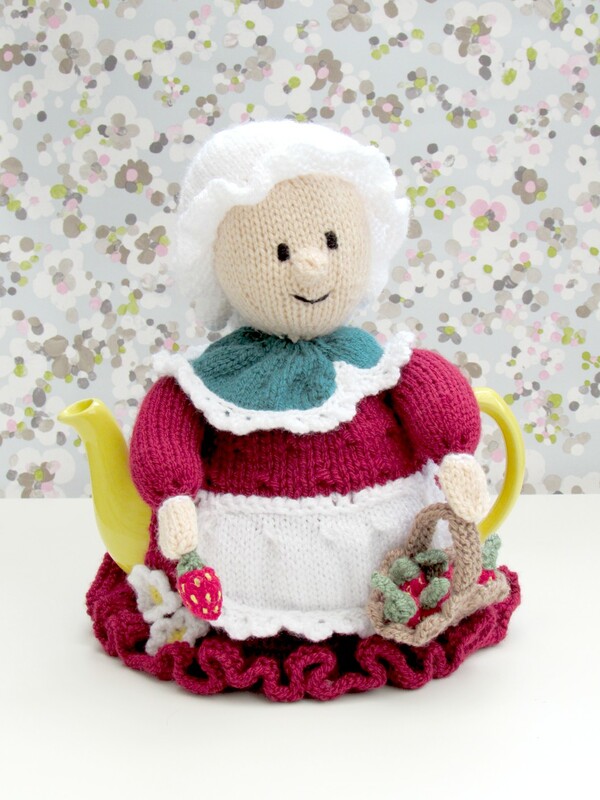 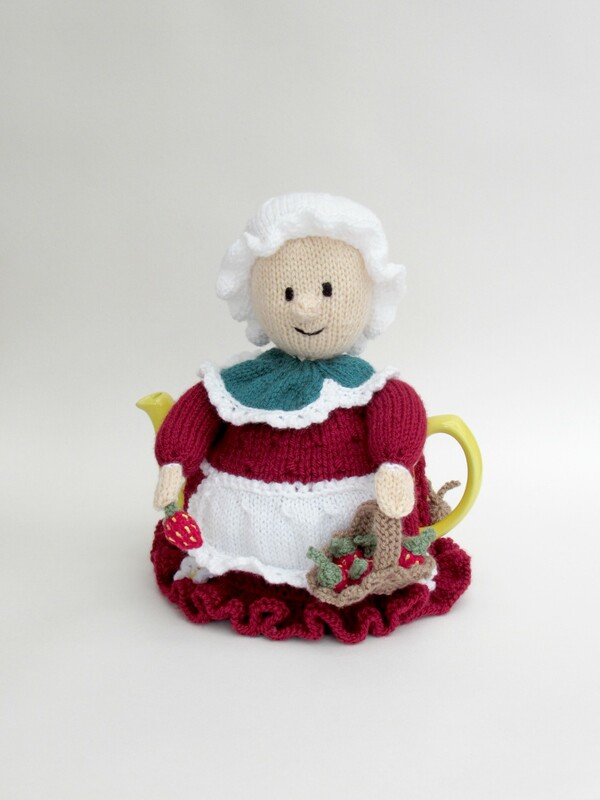 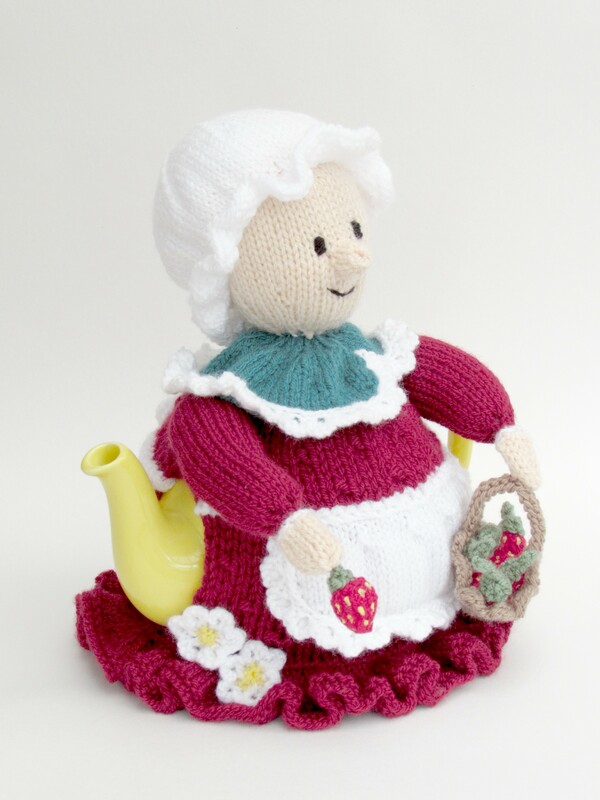 The Devonshire strawberry picker tea cosy was inspired by Devon’s Edwardian garden farmers. 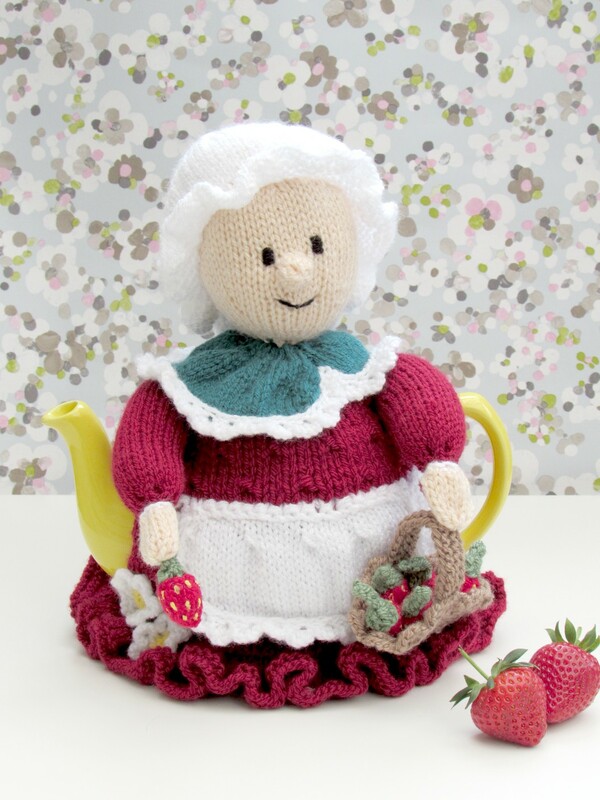 I thought it was such a lovely image, out picking strawberries in the Devonshire countryside, and strawberries always make you feel summery. 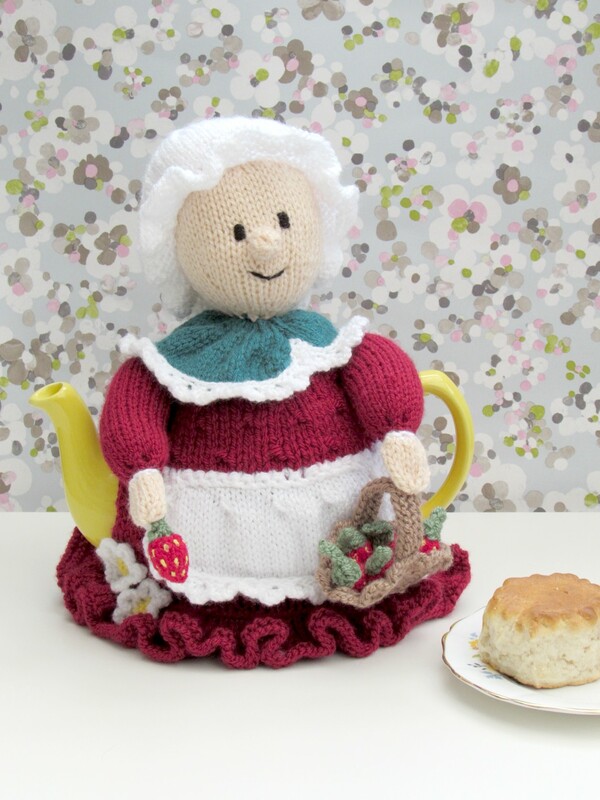 I also liked the idea of a Devonshire tea, and this tea cosy makes me think of Devon cream teas with hot tea and fresh strawberries; what could be more perfect? 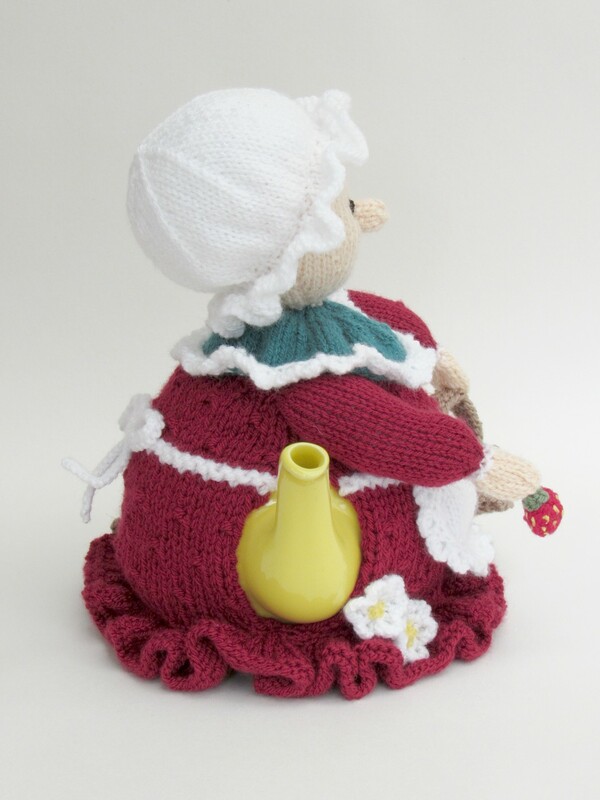 The lady is dressed in old style clothing of the era, a big dress and a mop hat, and she is wearing an apron to protect her dress, whilst she’s out picking strawberries. 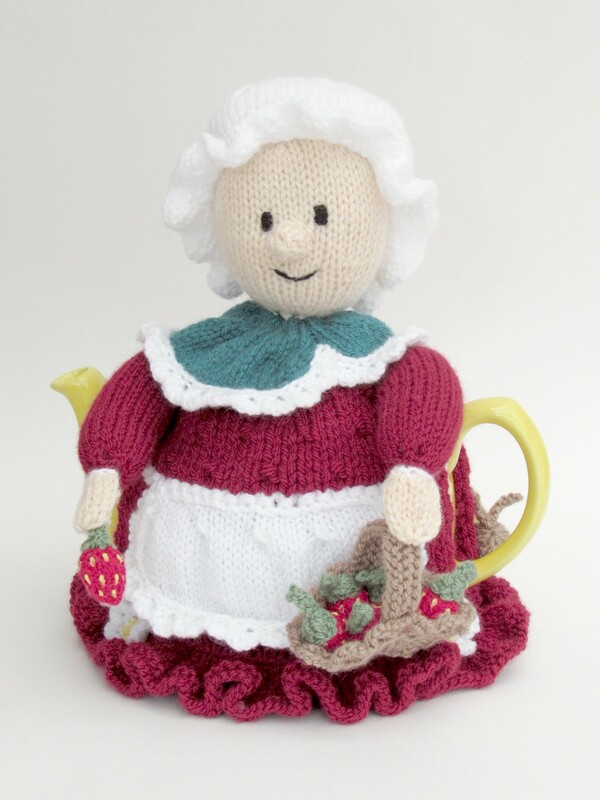 Her dress is red, and she is wearing a green shawl to make her look a bit like a strawberry, after all, they do you say that you are what you eat. 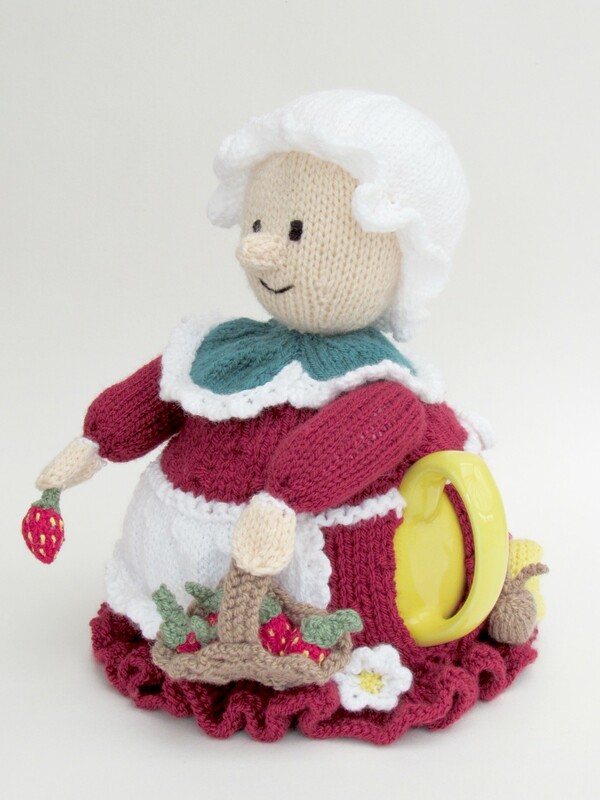 She has a basket of strawberries and she has picked another to add to the basket. 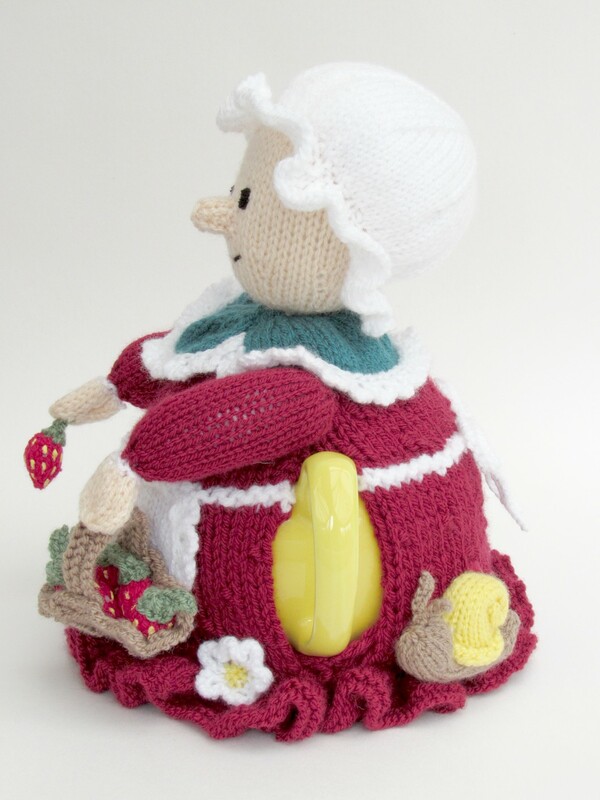 The strawberries are cute, and you can either paint or embroider the yellow seeds onto them. 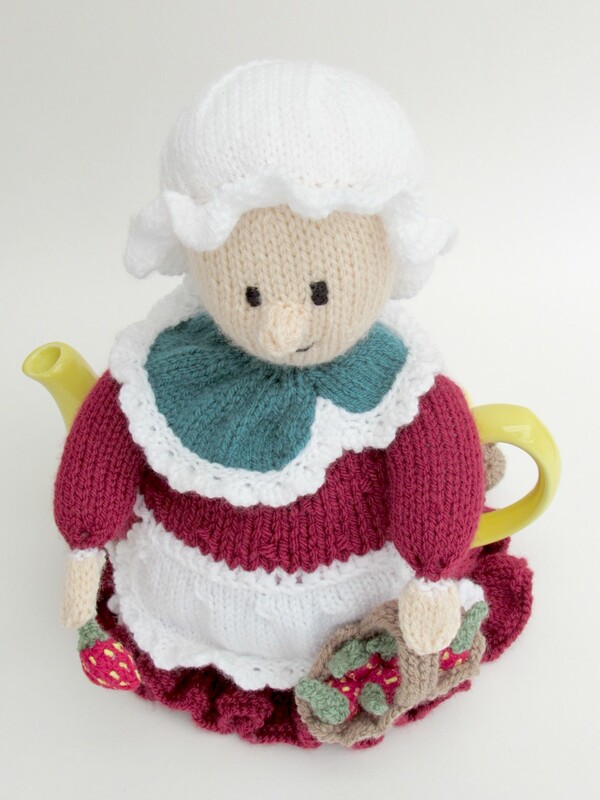 I painted the spots on. 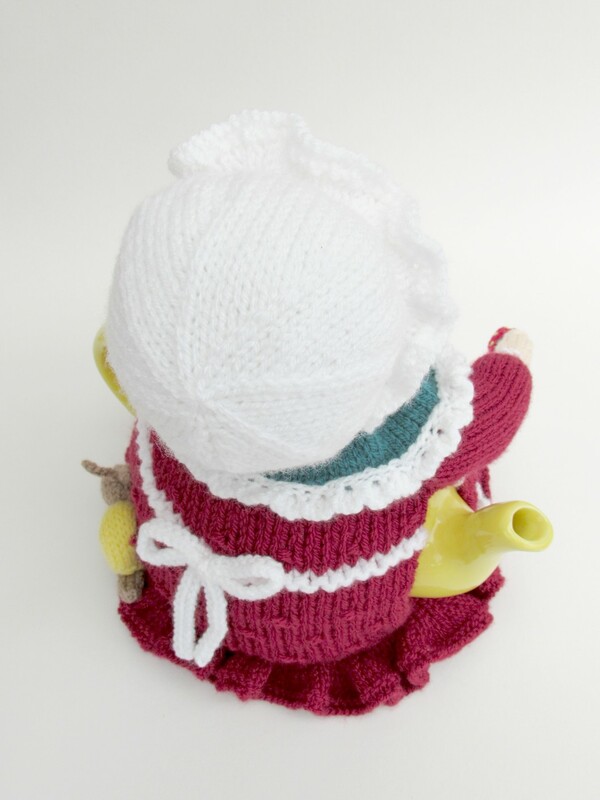 Around the back of the cosy, you will see her apron strings tied in a bow, and a little snail who is rather partial to strawberries too. 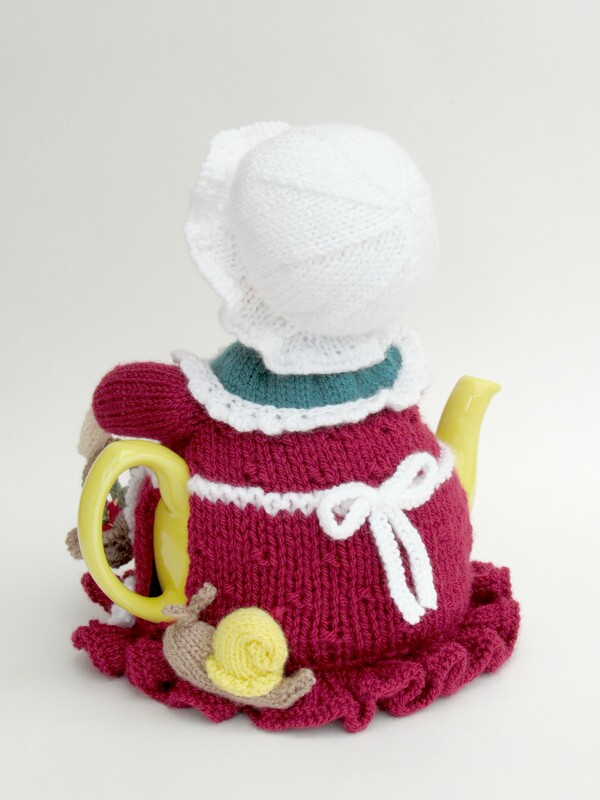 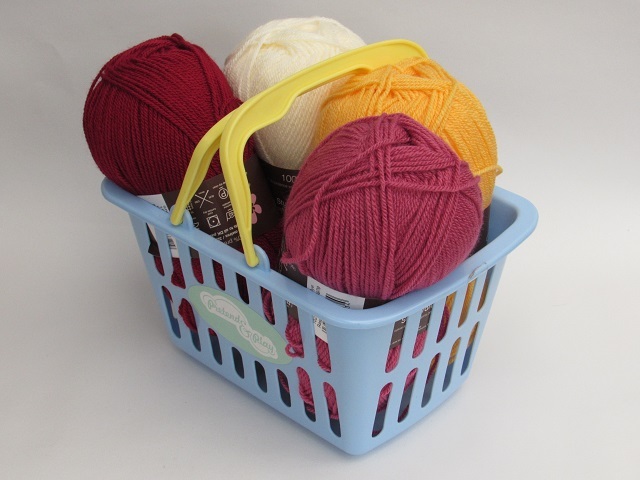 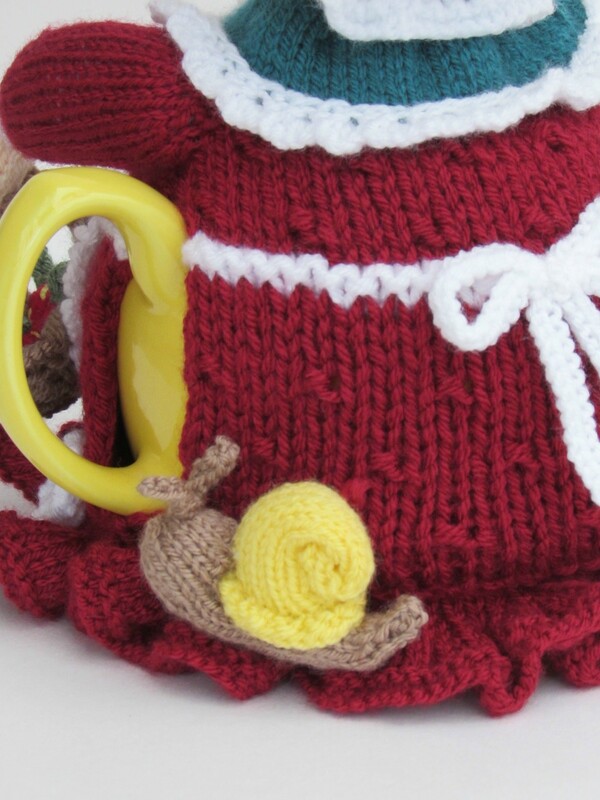 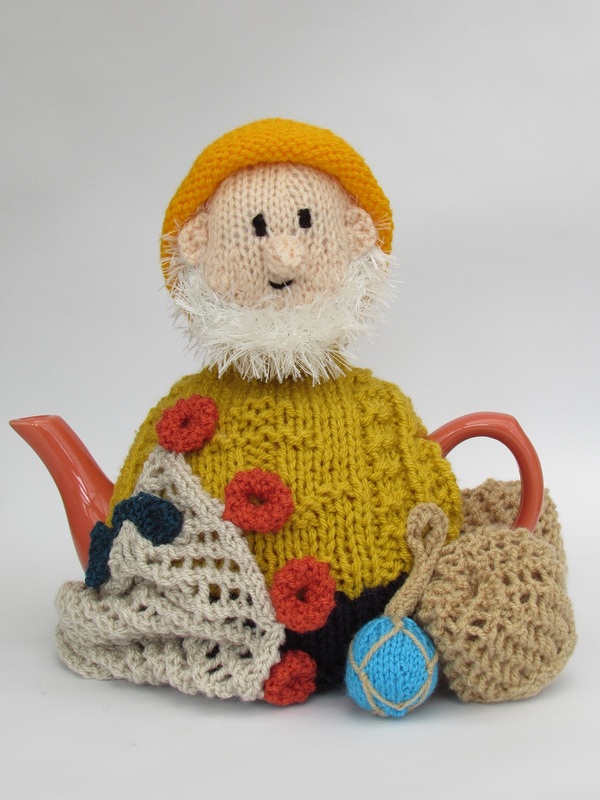 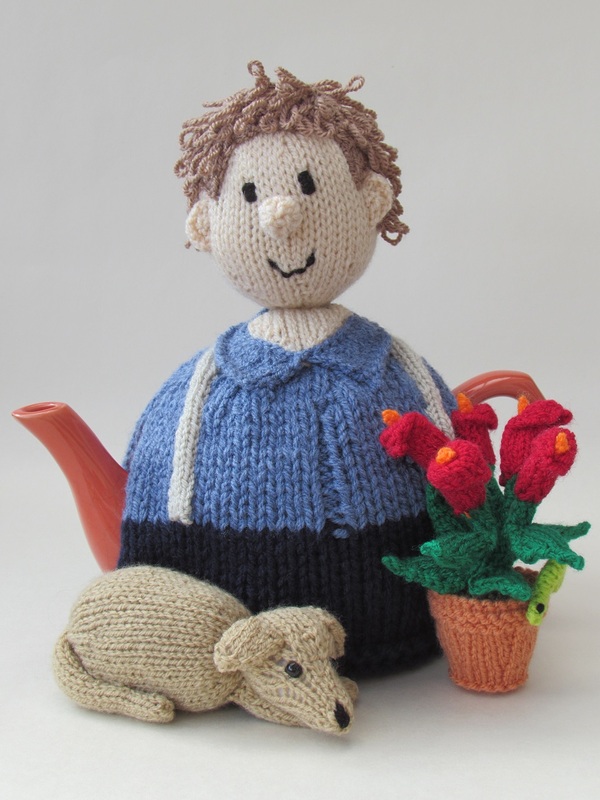 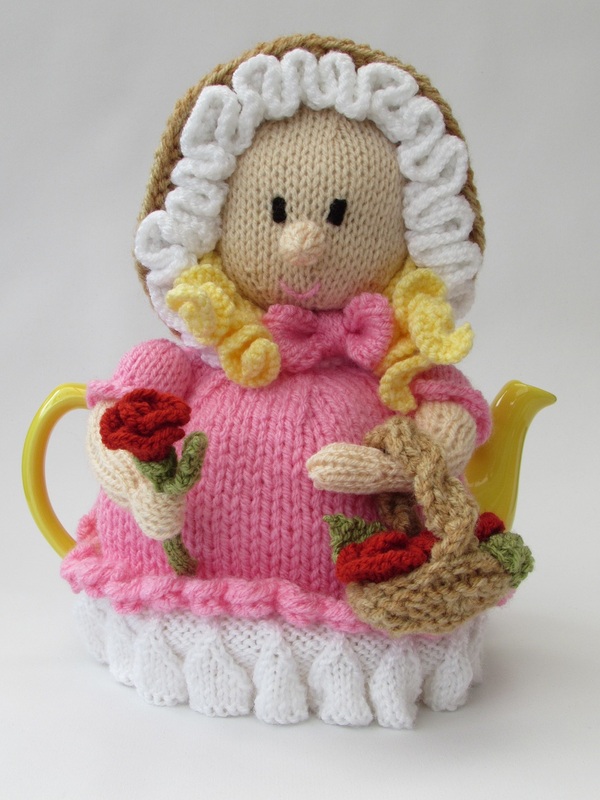 The frill on the tea cosy is attached to the main cosy part by knitting stitches from two needles together, this means that the bottom of the cosy remains stretchy. 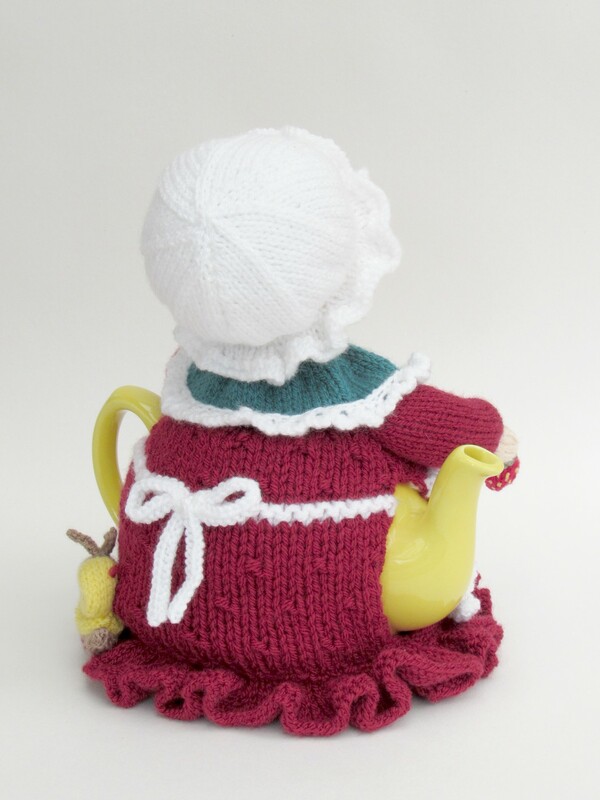 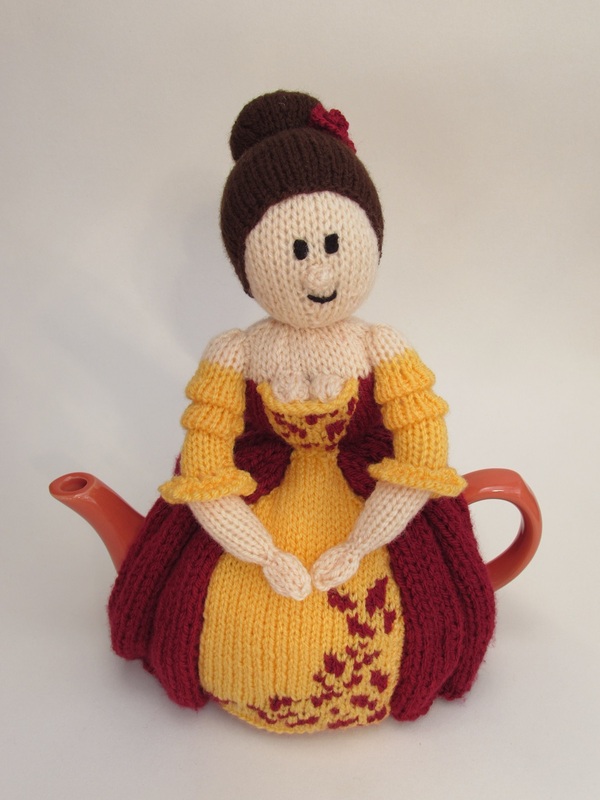 If the frill were sewn on, it would feel more restrictive when pulling the cosy over the teapot. 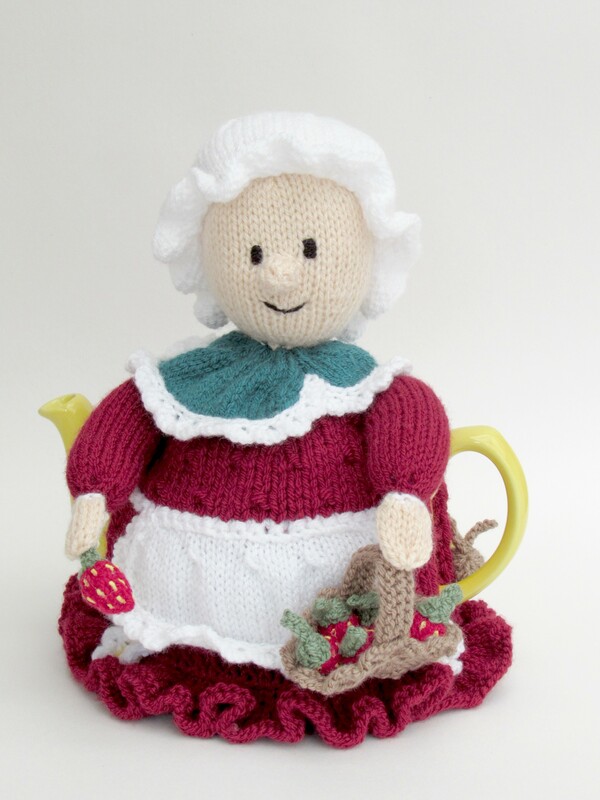 With so many people out there enjoying ‘Pick Your Own’ farms and green fingered people growing their own strawberries in gardens, I thought a strawberry picking tea cosy would be enjoyed by lots of people.